Pevonia Botanica Natural Skin Care Six Week Results, Final Thoughts and a Giveaway [CLOSED]! 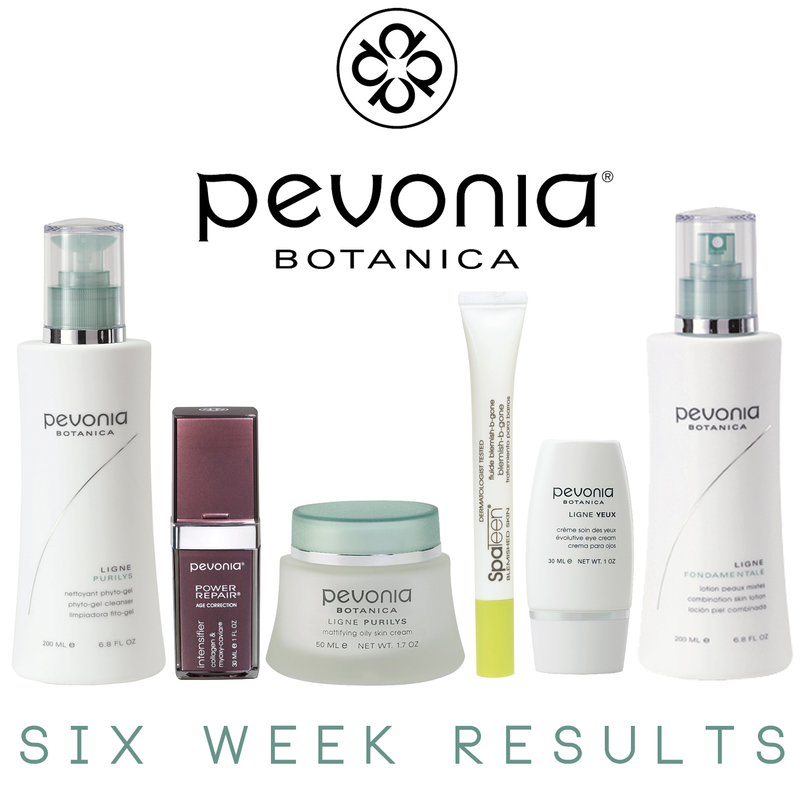 Six weeks ago I blogged about my first impressions on Pevonia's Botanical natural skin care products and today I will be posting about my six week results! If you're interested in my first impressions review, then check out my previous blog post here. I loved the products right away, but what really mattered was the end result and if they truly lived up to their claims. Many people have had success with Pevonia's products and have seen a difference in their skin, so I was definitely excited to see if I was going to have great results as well. The products that were sent to me were specifically chosen for me based on my skin concerns by a professional esthetician. Along with the products, I was sent a personalized step-by-step guide on how to properly use the products and in which order. I followed these steps consecutively for six weeks and I began to see a difference after the first week. Phyto-Gel Cleanser: When I first used this I didn't really care for the smell. It reminded me of men's cologne, but it grew on me. I still love how effortlessly this removes my makeup, even stubborn waterproof makeup and without using too much product also. I've been using this with a silicone facial brush and it's lathers up nicely and helps get rid of extra dirt and makeup. My skin feels so soft and refreshed afterwards! Combination Skin Lotion: This is one step that I did forget to do sometimes but when I did use this, my skin felt amazing and balanced. I love how it also removes and makeup and/or dirt that might have gotten left behind by the gel cleanser. Intensifier - Collagen & Myoxy Caviar: During the first week or two of using this, my skin broke out. I'm assuming it's because this product is so rich and concentrated and my skin is so sensitive. But after those breakouts cleared, my skin looked radiant and it glowed. 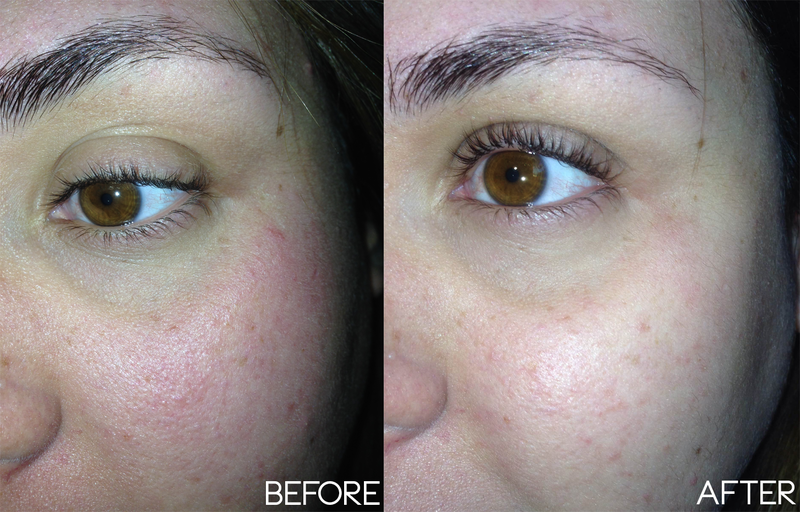 My redness diminished and my skin appeared more supple, firm and younger looking. My pores even looked smaller! Evolutive Eye Cream: I had to be extra careful not to get this in my eyes because it burns, but this works wonders as well. It delivered much needed moisture to the contours of my eyes and after about a month or so, I started to notice that the fine lines around my eyes were less visible which was incredible. My dark circles also seemed to lighten. Mattifying Oily Skin Cream: This has to be my holy grail moisturizer. It smells SO good, (kinda citrus-y) and it leaves my skin feeling nourished, moisturized and leaves me with a gorgeous matte finish and helps keep me matte throughout the day. I like to use it day and night and I also use it as a primer for my foundation. I love it! Blemish-B-Gone: After the breakout I had using the Collagen & Myoxy Caviar, I used this to help battle the blemishes and it totally helped heal them quickly. Usually I have red marks for a while after a breakout but I feel like this helped them diminish a lot faster. It never burned either. As you can see, I am not wearing an ounce of makeup in these photos. In the before shot, you can see the fine lines around and under my eyes are more visible and my dark circles are more pronounced. My pores were larger and my skin was noticeably redder. In the after shot, my skin appears all around brighter and more radiant. My pores are smaller and my skin is a lot smoother and feels firmer too. It's clear to see that these products have made a visible change in my skin. I am seriously impressed and I am so happy that Pevonia's products have worked for me so well. Overall, I am highly impressed with Pevonia and their products. Not only do these products work, but they are made from safe, natural and botanic ingredients which is great. They also cater to so many different types of skin concerns that you'll most likely find something that can work for you. Pevonia's products are a bit on the pricey side, but if you are willing to make an investment in your skin, I recommend you give them a try! Visit www.pevonia.com and have a look to see what they have to offer. GIVEAWAY TIME! Here is your chance to win some Pevonia products of your very own! Pevonia and I have teamed up to giveaway FIVE value kits depending on your skin concerns. Five kits means five winners (one kit per winner)! These kits are valued at $42.50-$72.50! If you want to browse through the kits, click HERE. All you need to do for a chance to win is be at least 18 years of age, a US or Canada resident, sign up for the Pevonia Life Advocate Program (which is free) and leave a comment on this blog post telling me about your skin concerns. These two steps are mandatory in order to win and are worth five entries each. You can have an extra 7 entries if you decide to do the optional steps! Enter using the Rafflecopter widget below and please make sure to read the terms and conditions thoroughly and enter all of the mandatory entries. If you decide to share this giveaway on Twitter, make sure you use the hashtag #PevoniaLife. GOOD LUCK! This post was created in partnership with Pevonia. I have been compensated and/or given product for this post. However, all thoughts and opinions are my own. Hello! As I'm aging, (51 - eek! ), my biggest skincare concerns are the fine lines around my eyes and between my brows. I also have dark circles under my eyes. Thank-you for this generous chance!! Hello, I am interested in something for fine lines and dark circles. Also something that wont make my concealer crease up! I have psoriasis and sensitive skin that's also pretty dry. It's pretty challenging finding something to help with all three skin concerns. Here's hoping this line has something for meeee. Acne scarring and redness is my biggie. I am starting to show signs of age - mostly dull skin, dark under my eyes, and some fine lines. My two biggest skin concerns are hyperpigmentation and dry skin. Help - I really don't like this 'getting older' stage because with that comes aging skin!! Lol Anyway, about 3 or 4 years ago, I started noticing a few brown spots on my face and I would love to diminish these greatly!! My main concerns in reference to my skin are fine lines and dry skin. My skin has gotten progressively dryer as I've gotten older and that bothers me more than anything! My main skincare concern is sensitivity. My skin can get irritated easily when trying new products. Additionally, I have combination skin, which can make finding the right skincare products tough. I also have occasional issues with acnes (I'm in my early 20s), and some acnes scars. i have hyperpigmentation and small fine lines around my lines. dry dull skin is my biggest problem this winter. My skin concerns are redness, sensitivity and oily skin from rosacea. My skin concerns are redness, dry skin and dark circles. I am starting to see some fine wrinkles under my eyes. Thank you!